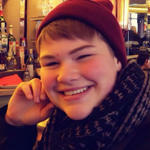 Chris is currently the Manager of Digital Media for MPBN, a position he's held since 2008. Proior to that, he was co-creator and executive producer of the historical documentary series Maine Experience, during which, Chris won a New England Emmy award for Outstanding Historical/Cultural Program. Previously, Chris won an Emmy award for his work as executive producer on the historical documentary series Home: The Story of Maine. 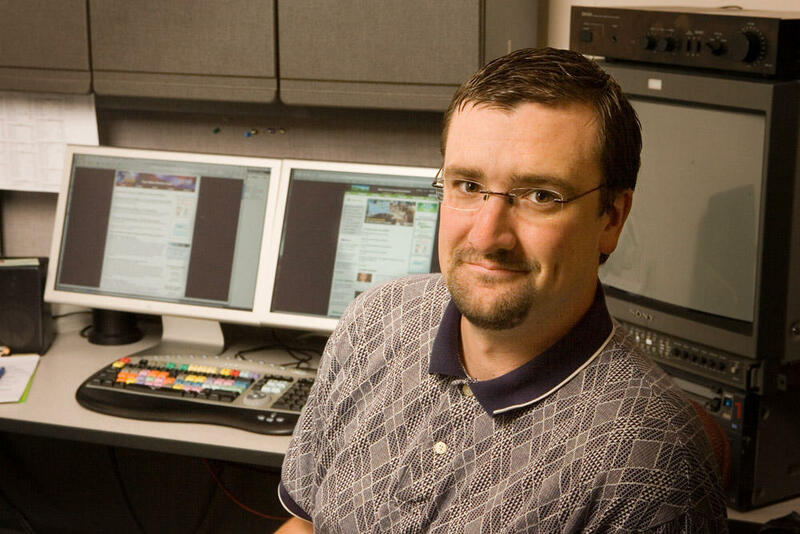 Chris has produced other popular TV programs at MPBN, such as Made in Maine, Road Diaries and, since 1999, the Maine High School Basketball Tournaments in Augusta and Portland, where he also continues to provide play-by-play and color commentary during the broadcasts. He is also a writer with credits on three health care documentaries produced by MPBN: Caring for the Caregiver: Dementia & Alzheimer's, Easing the Burden: Parkinson's Disease and Making Our Way: Autism. Chris produced a news story about a winter downhill mountain bike racing series, which won 1st place in the 2012 Maine Association of Broadcasters News Awards in the sports category. Chris is a freelance writer who covers the craft brewing industry in Maine for the international publication Ale Street News. He has three daughters and they live in Westbrook where he is always on the lookout for a chance to swim, bike, ski, and whitewater kayak. Chris grew-up in the western Maine town of Farmington where he graduated from Mt. Blue High School in 1989. Chris continued his education at Eckerd College in St. Petersburg, Florida where he earned a B.A. in Political Science and the University of Florida in Gainesville where he studied Mass Communication. Chris was hired by WCSH-TV in Portland where he worked as a News Producer for several years before going to MPBN. In addition to the on-air TV work during the basketball tournament, Chris contributes the occasional story for radio news at MPBN. With this year’s Sea Dogs on the verge of breaking the 1995 record for wins in a season, Manager Billy McMillon reflected on the season at hand. Sky-high prices for juvenile American eels have created conflict in Maine between fishermen and fisheries biologists over the fate of the species. Maine Beer Company expanded its brewing and retail operations to Freeport, a bit more than one year ago from a small industrial space in Portland. The craft brewer is fitting right in as a tourism destination with its more notable neighbors L.L. Bean, Nike, Patagonia, Brooks Bros. and Calvin Klein with today's release of "Dinner," a Double IPA bursting with hops. Calling all swimmers! Here's how to coexist with our gelatinous friends. Two days after a tractor-trailer crashed into Tracy Morgan's limousine, killing a passenger, road safety advocates hammered Sen. Susan Collins (R-Maine) and other lawmakers on Monday for efforts to peel back recent reforms aimed at curbing trucker fatigue. AUGUSTA, Maine (AP) _ The Maine State Museum in Augusta is hosting a program about Civil War general and Leeds, Maine, native Oliver Otis Howard. Author Gordon Weil will speak at the event. He wrote The Good Man: The Civil War's "Christian General" and His Fight for Racial Equality about Howard in 2013. Howard led the Freedmen's Bureau after the war. He directed the bureau's task of integrating freed slaves in society in the South. 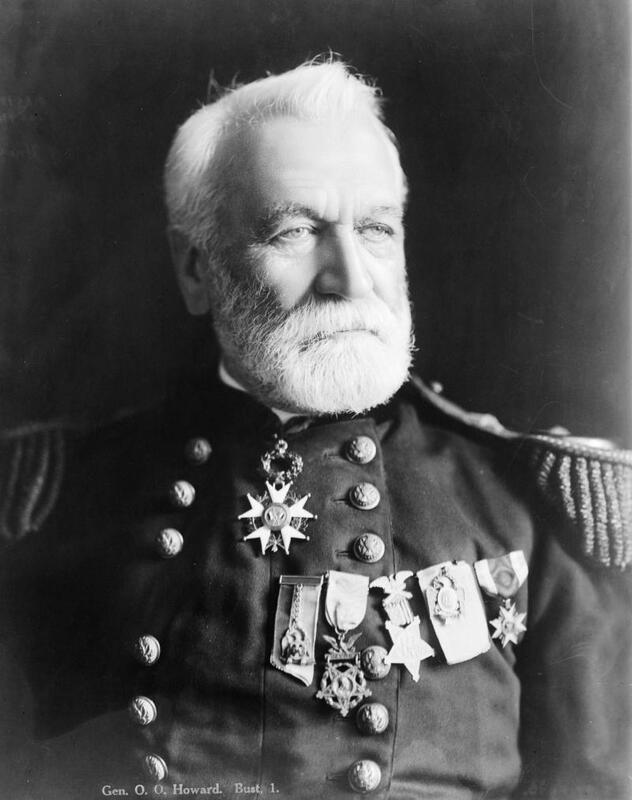 He also founded Howard University in Washington and served as its president from 1869 to 1874. 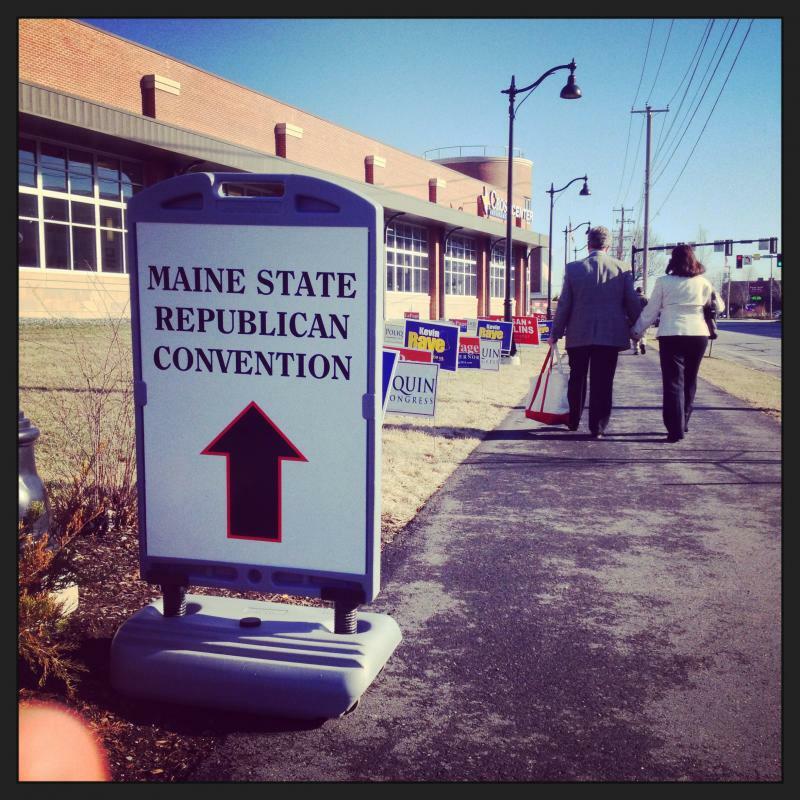 The Maine GOP convention was held in Bangor over the weekend where party leaders gathered in a show of unity ahead of the November elections. The theme of the convention was "United for Jobs, United for Freedom, United for Maine." Democratic and independent candidates responded to some of the attacks aimed at them over the weekend. Governor LePage (R) said he's expecting a contentious campaign year. "This will be probably the nastiest campaign you've ever seen in the state of Maine," LePage told the assembled crowd on Saturday. PLEASANT POINT, Maine (AP) _ The former finance director of tribal reservation in Maine has been arrested on charges of stealing more than $20,000 from the Passamaquoddy tribe. Charles Fourcloud was arrested Friday in northern California. Snow fell in Aroostook County Thursday, April 24, more than one month after the official start to spring. 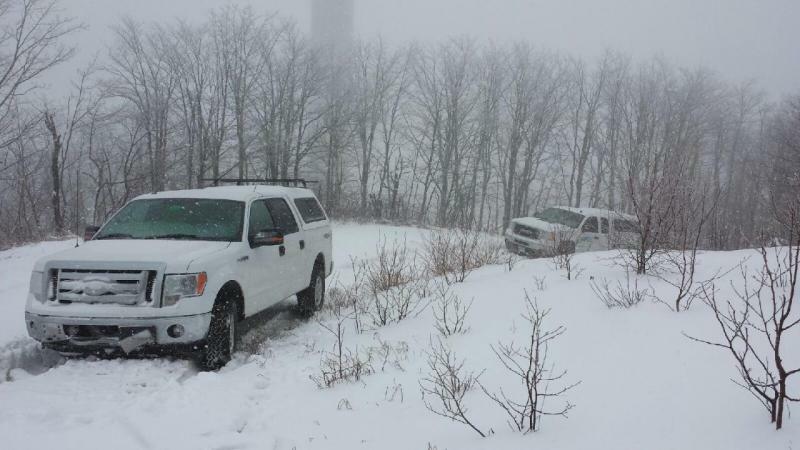 Here's the view on Mars Hill mountain, just below Presque Isle where MPBN Technology Crew members Jeff Mahaney and Aaron Carter encountered winter-like conditions. The pair were checking in on the MPBN TV transmitter located on top of the mountain. According to the National Weather Service in Caribou, Maine the three inches of snow accumulated in Aroostook County is the biggest snowfall so late in the season since April 29, 2005 when 3.6 inches was observed.